We do not edit reviews, but reserve the right to delete messages that contain profanity, offensive language to other people, etc. How can I find out how much it costs to delivery to the city / village I need? To find out the cost of delivery to the city you need, go to the "Delivery" page and select the city you need. Below you will find the cost of delivery to the city of your choice. You can add a postcard to the bouquet? When placing an order, for writing a text on a postcard there will be a special field, which is called "Add postcard with your text". There you will need to write the text that you want us to post on the postcard. How can I pay for the order? You can pay the order in any way convenient for you from those listed on the page "Payment". 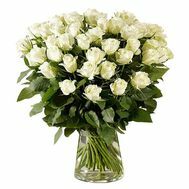 How can I find out how much flowers / delivery costs are in dollars, euros? To see the prices on the site in the currency you need, you need to select the currency you need at the top left of the site. Can I place an order not from Ukraine but from another country? You can to order and pay for the order from any country in the world. On the page "Payment" you can find out the payment methods available for you. How long before the delivery date do I need to make an order? 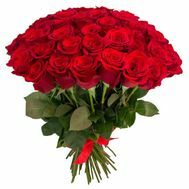 The earlier you order and pay for the order - the better, more time will be spent preparing it and it will be possible to order it to bring the right flowers to your order. You can order and pay for the order today - and we will deliver it when you specify in the order. In what currency can I pay for the order? You can pay for the order in any currency. When you pay for the order with a card, no matter what currency your card is in, an automatic conversion will be made at the rate of your bank on the day of payment. You can learn the course at your bank. How do I know if my order has already been delivered? After the order is delivered to the specified email address, a letter will be sent to you. 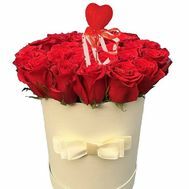 If, when placing an order, you do not specify the text on the card, the recipient does not know who ordered the flowers, since the couriers generally do not have any information about the customer. 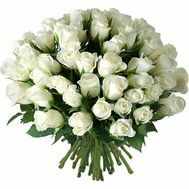 I know only the girl's name and phone number - can you deliver her a bouquet? Do you make photo reports? 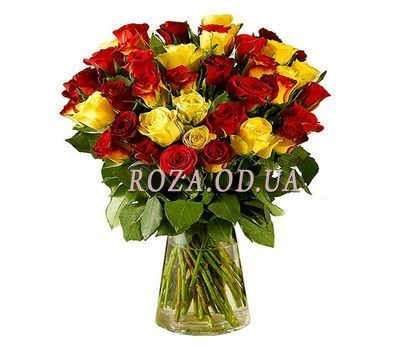 If order delivery in Odessa - we can make a photo of the recipient with a bouquet or other gift, if he does not mind. The possibility of a photo report in other cities of the Odessa region is available from the store manager. Is it safe to pay by card? Payment for the order by card does not take place on our website, but on the site of the payment system, which is protected by all necessary safety certificates. What does each order status mean? You can see detailed information about what designates each order status on this page. Are the prices on the site relevant? All prices on the site are up-to-date and are maintained in this condition. 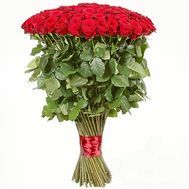 Flower delivery to Odessa is for free (provided that there are flowers in the order). 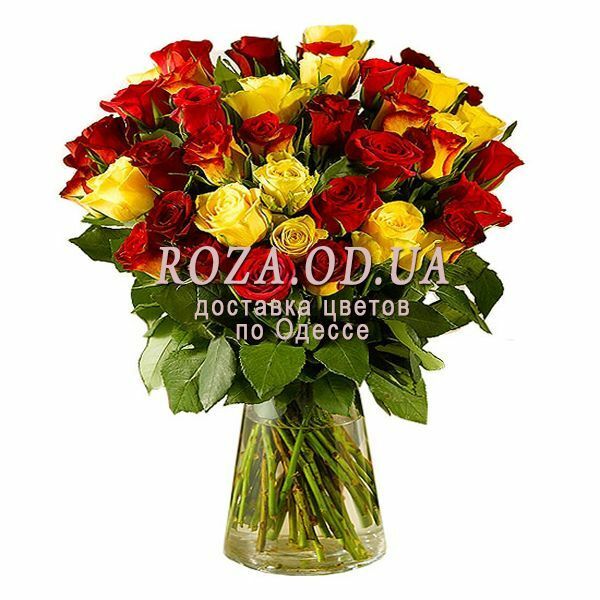 Free delivery in Odessa from 9.00 to 19.00 (by local time in Kiev, Ukraine). 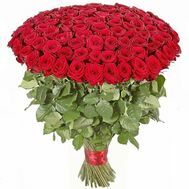 Delivery of the order in Odessa, which does not include flowers (only sweets, cake, balls, soft toys, vases, etc.) - 200 UAH. 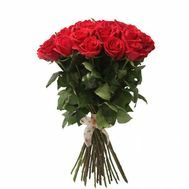 Delivery to other cities of Odessa region is paid. We can deliver your order to any village in Odessa region. If the village where you need the delivery is not in the list above - contact us and we will inform you about the cost of delivery to the desired village. This page contains information on all payment methods that you can pay for your order. It is informational page. You can pay for your order after placing it. To see the payment methods available to you specifically - choose in which country you are located. Click the payment method to see more information about it. You can pay in any branch of Privat Bank through the cashier, payment terminal, ATM or through the client-bank - Privat24. The card details will be provided to you after placing your order. After making an order, you will be provided with the number of the PrivatBank card, to which you will need to put the amount of your order through the payment terminal of Privatbank. You can pay by Visa, Visa Electron, Mastercard, Maestro issued in any country and in any currency. There will be an automatic conversion at the exchange rate of your bank on the day of payment. After placing an order, you will be given a phone number to which you will need to send a payment. Extras. commission: 5% of the order amount. When you place an order, you will be given a purse number to which you will need to transfer payment. After placing the order, during the operating time you will be issued an invoice and all necessary documents will be sent. After completing the order, we will send you an act of completed work. You can pay by Visa, Mastercard, American Express, Discover, Diners, JCB issued in any country and in any currency. There will be an automatic conversion at the exchange rate of your bank on the day of payment.